Kids' instinctive love for comics and picture books is the greatest tool parents and teachers can have to hook children on reading at an early age. But beyond that, love of visual storytelling is something kids will carry with them their whole lives. This blog page is dedicated to helping you light that fire and keep it burning in your kids. • Yes, comics are good for kids! • Why picture books are imporatant. • Why Robots and Quicksand? It’s pretty common these days to read or hear about kids whose entire lives are scheduled. Beyond school, they have sports practices, games, clubs, music lessons…even etiquette classes. It seems that adults are competing to prepare children for a competitive world. But what about time for kids to use their imaginations? Unfortunately, adults tend to look at unscheduled time as wasted time. Are kids really squandering time they could be using to learn something valuable? Here are four opinions that suggest otherwise. 1. Imagination improves learning The site SchoolAtoZ quotes Sir Ken Robinson, an international expert in learning, who says imagination is the "key driver of creativity and innovation" that helps children "learn with a greater appetite." 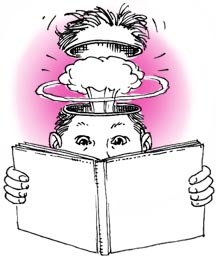 SchoolAtoZ suggests reading to kids and telling them stories as a great way to fuel their imaginations. 2. Imagination helps kids cope with the unexpected In the article 10 Easy Ways to Fire Your Child’s Imagination Parenting.com cites child-development experts who say a “child with a good imagination is happier and more alert, better able to cope with life's twists and turns, and more likely to grow into a well-adjusted, secure adult.” Check out Parenting’s suggestions that include telling stories, making art and giving kids time and space to create their own thoughts, images and stories. 4. 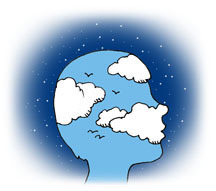 Imagination is what makes us human Yuval Noah Harari, a lecturer in history at The Hebrew University of Jerusalem and author of Sapiens: A Brief History of Humankind, did a fascinating TED Talk based on his research. He explored the question: How do you explain humans’ dominant position on earth? His studies led him to the conclusion that humans are the only animal that can cooperate both flexibly and in large numbers. “What enables us to cooperate in such a way? The answer is our imagination. We alone of all the animals on earth can create and believe fiction. Other animals only use their communication to describe reality. Humans create new realities. Only humans believe stories.” As examples of our fictional stories, Harari points out that human rights, legal systems, nations and monetary value are not objective realities like trees, rivers and lions. These are all stories invented by humans that allow us to cooperate on a mass scale. Harari says, “We are the only animal that can believe in things that exist purely in our imagination, such as gods, states, money, human rights, corporations and other ‘fictions,’ and we have developed a unique ability to use these stories to unify and organize groups and ensure cooperation.” It’s quite an intriguing view of imagination and well worth a listen. Writer Neil Gaiman is practically a household name these days. His books are bestsellers, some have been made into movies, and he's a critics' darling. His novel, The Graveyard Book, even won the prestigious Newberry Medal a few years back. Gaiman's had plenty of success as a writer of prose, but he's also equally respected as a comics writer, having created the much-loved DC series, The Sandman, back in the 1990s. This is a writer with deep roots in graphic storytelling, and so it's no surprise to see several of his most popular books adapted into the graphic novel format. It's also no surprise to see the adaptations being done by an old Gaiman collaborator from back in his Sandman days—artist P. Craig Russell. Russell began his career at Marvel Comics in the early 1970s. His broad interests eventually took him beyond the sphere of superheroes into more personal works, like comics adaptations of classical operas (a pretty daring choice considering comics is a soundless medium). Regardless of subject matter or genre, Russell's skills as a draftsman and a storyteller make him one of the finest artists comics has ever seen. 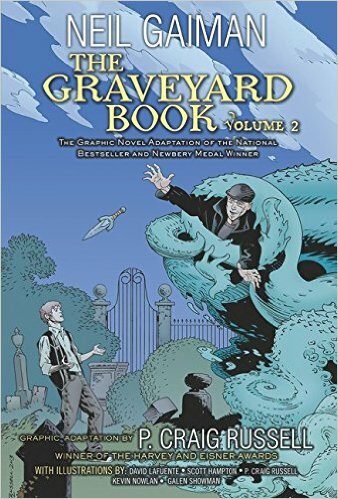 The combination of Gaiman's imagination and Russell's artistry is always worth seeking out, and a great example of what this team can do is on display in the graphic novel version of The Graveyard Book, split into volumes 1 and 2. 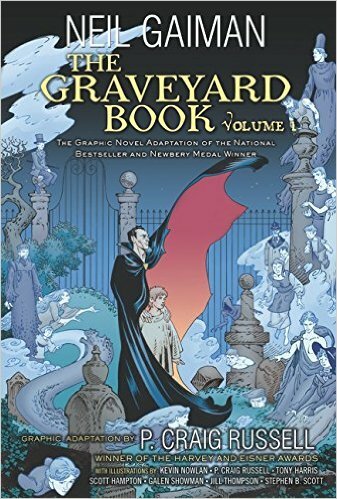 Try not to think of these graphic novels as the Classics Illustrated version of Gaiman's prose novel. Both version of the story of Bod Owens, the orphan raised in a graveyard by the spirits that live there, are well worth your time. The two versions are complimentary rather than redundant (trust me, I've read both). The graphic novel version is adapted by Russell, who's page layouts, rhythm and pacing are a joy to behold. Russull trades chores on the finished art with some of the best comics artists working today, including the great Kevin Nowlan, whose work is a real inspiration. You can get both books from your favorite bookseller, or you can go here for volume one and here for volume two. I grew up in the era before kids’ “screen time” was an issue. As a matter of fact, “screen time” wasn’t even a concept. The only screens we watched were TV screens—no computers, video games, iPads or iPhones. But as far back as I can remember, my limited sources of visual images—yes TV, but most often comic books—made a huge impression on me. You might say, “Well that makes sense. You’re an art guy.” I suppose that’s valid. But more often than not, the comic books I was reading back then were created by masters of visual communication. Through their work I developed what is now called visual literacy. Small conversations can open kids’ eyes to the meaning in the images around them. When Are Kids Too Old For Read-Aloud? Never! When our kids were young, Jeff and I often wondered (as I’m sure most parents do) whether we were doing the right things for our kids. The one thing we never questioned, however, was reading aloud to them. I clearly remember reading a book to our daughter while she happily kicked her month-old legs. Obviously she had no idea what I was saying—the book, after all, was The Nightingale by Hans Christian Andersen. But I was determined in my new parenting zeal to start her off as a book lover. Turns out, experts agree with that approach. In this 2015 EdSource article here the author cites research by Dominic Massaro, a professor emeritus in psychology at the University of California, Santa Cruz, who studies language acquisition and literacy. Massaro’s study found that “Reading aloud is the best way to help children develop word mastery and grammatical understanding, which form the basis for learning how to read.” Reach Out and Read, a nonprofit that incorporates books into pediatric care, references the findings of numerous studies to support benefits of reading aloud: It “…helps children acquire early language skills… develop positive associations with books and reading” and “…build a stronger foundation for school success.” Who can argue with those results? 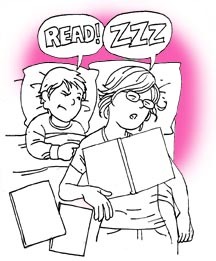 In our family, bedtime reading was the ritual. From the time our kids could sit in our laps, Jeff and I would take turns reading to each of them before bed. They pretty much thought it was their birthright that we would read to them, every single night, no matter how tired we were. I had a habit of falling asleep mid-sentence, which would prompt my son to give me an elbow to the ribs and say, “Read!” I read the first several Harry Potter books aloud to both children, sometimes in three-hour marathons when I would lose my voice, and the kids became avid readers of the series. When the last of the series, The Deathly Hallows, was published in 2007, my daughter and son—young adults at ages 19 and 17—had to have their copies at midnight on the release night, and finished them in a weekend. Of course reading aloud isn’t the only precursor of a child’s future abilities and achievements. But our experience, although just that—a single family’s experience, certainly bears out the research. 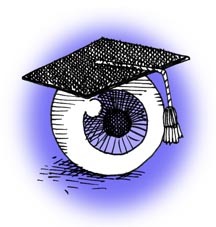 Our daughter has just completed her master’s degree in urban education at Johns Hopkins University, and our son is working on his second bachelor’s degree, this one in electrical engineering at Southern Illinois University. And I’ll tell anybody who’ll listen that reading to our kids is one the most important things we did as parents. Yes, Comics Are Good for Kids! I begin this post with a disclaimer: I grew up as an avid (read that rabid) comic book fan. I’ve gone on to become an entrenched student of the form: its history, its artists and its place in American culture. Based on that admission, you might expect me to be biased on the subject of whether comics and graphic novels have a place in a kid’s reading repertoire. And, well…you’d be right. But let me tell you some things I learned from Superman, Green Lantern, Spider-man and all the rest of the guys. Vocabulary: As early as age eight I encountered words like “invulnerable,” “identity” and “extraterrestrial.” I had to figure out what they meant from their context. Oh, and of course, Visual Storytelling: I went on to make my living as a graphic designer for decades, and then returned to the medium closest to my heart—graphic storytelling for kids. Now, you may be thinking, “Most kids aren’t going to grow up to be artists or writers.” (True) “How does graphic storytelling apply to them?” Let’s see what educators and other parents have to say about comics and graphic novels. Karp cites well-known graphic novels Art Spiegelman’s MAUS and Marjane Satrapi’s Persepolis as often-used supplements to history and social studies curricula. He then goes on to offer specific examples of classroom lessons using sequential art: telling a story without words, depicting emotion and action, and constructing a narrative. 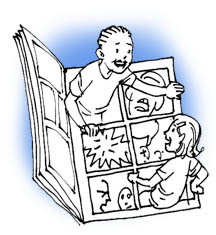 So, where do you start to introduce kids you know to graphic storytelling? My six-year-old nephew loves Owly by Andy Runton. The Bone series by Jeff Smith is great for middle-school kids. And if you want to jump in with both feet, GoodOkBad.com has an extensive list of Great Graphic Novels for Kids separated into Pre-K, Lower Elementary, Upper Elementary and Junior High ages. Take a look, share with your kids, and email me your thoughts. About five years ago The New York Times ran an article entitled Picture Books No Longer a Staple for Children; the article sent a seismic shock through the children’s book business. Citing lagging picture book sales and declining new releases, the author attributed the decline in part to the economic recession, then at its height. More controversially, the article traced picture books’ downward trend to a shift in parents’ attitudes. “Parents have begun pressing their kindergartners and first graders to leave the picture book behind and move on to more text-heavy chapter books,” as a response to the increased importance of standardized testing. While the article does go on to quote children’s publishers and booksellers on the virtues of picture books, that message seems to have been overshadowed. Along with many parents and teachers, those of us who create children’s books witness firsthand the magic of picture books. Not only do they transport and inspire, they engage young kids, helping them learn about their world and about how people think and feel. And the words and images stay with them for a lifetime. So in this age of standardized testing and pressured parents, let’s relax a little and let our kids follow their instincts. Picture books should always hold a place of honor on the shelf. So, why Robots And Quicksand? Answer #1: Everyone loves a good illustrated story. The combination of illustrations and words immediately draws (pun intended) a reader into the story. And, it’s an especially powerful fusion for kids. How many lifelong readers and dreamers have been created by early exposure to comics and picture books? More than we can count. Illustrations and words together create a one-two punch to the imagination that’s unique. Yes, prose books, movies, TV, and even video games can all feed the imagination. But stories told with sequential art have an almost magical ability to engage and transport a reader. RobotsAndQuicksand.com is dedicated to the limitless power of the illustrated story. Adults are welcome here, but this site exists to help kids experience the exciting, informative, inspiring, entertaining—and just fun—art form they instinctively love. Which leads to Answer #2: As I see it, robots and rocket packs, superheroes and spaceships, dinosaurs, monsters, bottomless pits, cowboys, castles and yes, quicksand are essential ingredients of childhood. Fun and adventurous stories fuel kids’ sense of wonder about the world. Experiencing an imaginative tale can even open kids’ eyes to life’s possibilities—prospects bigger than those in their everyday lives. It’s my firm belief that any kid who’s played “hot lava”—leaping across living room couch cushions to escape marauding monsters—has a head start in life. Those kids stand a far better chance of finding their way over life’s real obstacles. I hope you—but more importantly, your favorite kids—join me in this adventure in imaginative visual storytelling.